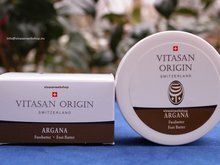 Herbal Foot and Nail Cream Vivasan ultra Swiss care for feet and nails - Vivasan Webshop English - World wide delivery Vivasan Official Webshop® is specialized in shipments to the UK, Ireland and Scandinavian countries. Best prices! 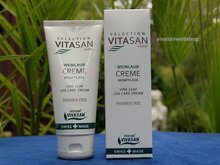 Vivasan Herbal Foot and Nail Cream invigorates, refreshes and relaxes feet and legs. The stimulating ingredients provide a long lasting care and keeps feet and legs supple. The cream protects the skin from drying out and prevent a rough and chapped skin. Herbal Foot & Nail Cream penetrates quickly and improves the blood circulation. 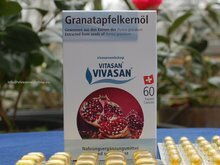 Vivasan Herbal Foot & Nail Cream is dermatologically tested on skin tolerance. 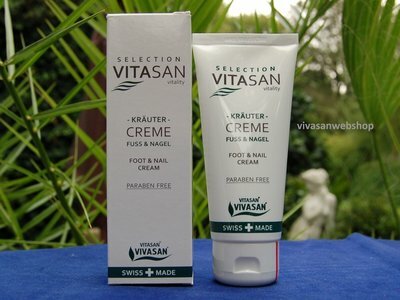 Application: According to need, apply some Vivasan Herbal Foot & Nail Cream on legs and feet and massage it in.